Kenebec Savings propmotes Patenaude; G&E Roofing wins industry award. Patenaude previously was the bank’s financial analyst and finance officer. In his new role, he will take on additional financial oversight at the Augusta-based bank. Patenaude has been with the bank since 2008, when he was hired as a college intern. He has been full time there since May 2009, when he became part of the bank’s management trainee program. In 2011, he was promoted as a loan officer before transitioning to finance. 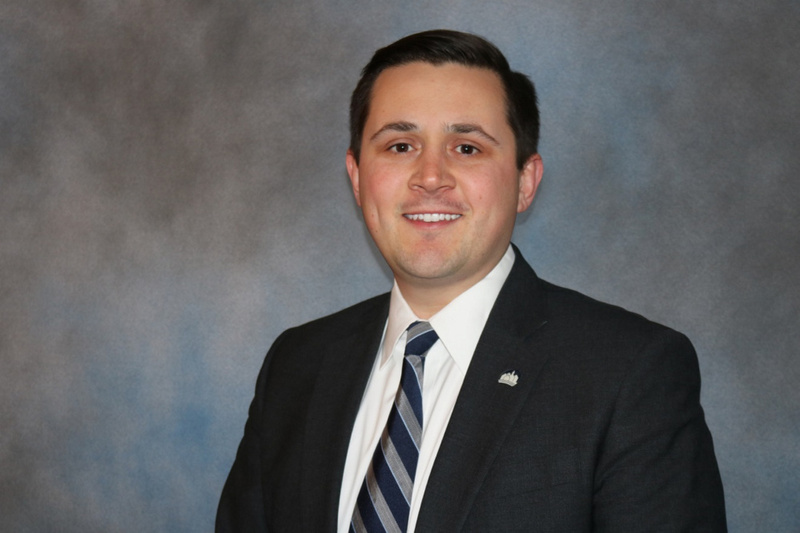 Born and raised in Augusta, Patenaude earned a bachelor’s degree in business administration in finance from the University of Maine and graduated from the Kennebec Leadership Institute. Patenaude is active in the community, serving as the treasurer of Le Club Calumet’s Educational & Literary Foundation and on the finance committee of the Kennebec Valley YMCA. He lives in Manchester with his wife, Maria, and their son. OTIS Federal Credit Union announced that it has posted an 8 percent bonus dividend and interest refund in 2017. Over the past 13 years, OTIS has returned over $4.5 million to its savers and borrowers via this annual practice, according to a news release from the credit union. The credit union, was founded in 1954 by 11 local millworkers who sought to form a cooperative, independent financial institution operated and controlled solely by its local membership. Dr. Richard Raskin, a fellowship-trained rheumatologist and clinical immunologist, has joined MaineGeneral Rheumatology. He is accepting new patients by referral at 15 Enterprise Drive in Augusta. Raskin has more than 25 years of clinical rheumatology experience, with special interest and expertise in geriatric rheumatology. He is certified in internal medicine and rheumatology by the American Board of Internal Medicine and is a fellow with the American College of Physicians and American College of Rheumatology. 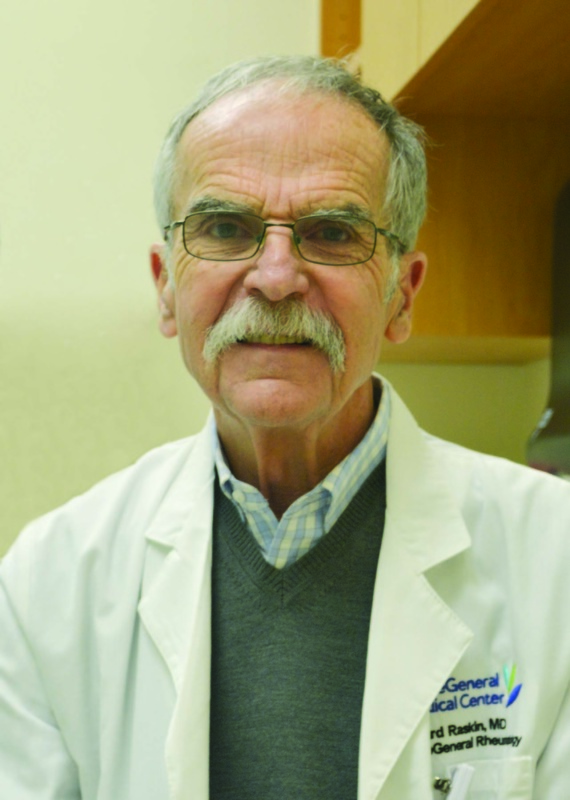 He previously was chief of rheumatology at University of Nevada School of Medicine in Las Vegas. Raskin graduated from Northwestern University Medical School in Chicago, then completed a fellowship in rheumatology and clinical immunology at Walter Reed Army Medical Center in Washington, D.C.
Carlisle Syntec Systems, a manufacturer of single-ply roofing materials, recently honored G&E Roofing Co. with its 2017 Perfection Award. Each year, Carlisle presents the award to a small percentage of its top contractors. Perfection Award winners are selected annually based on a history of exceptional installation quality and excellent warranty claim performance. To qualify, contractors must complete a minimum amount of warranted work and number of jobs per year. G & E Roofing Company, Inc. was established in 1975 and is headquartered in Augusta. Carlisle Syn-Tec is headquartered in Carlisle, Pensylvania, and has manufactured single-ply roofing membranes for more than 50 years. Waterville Area Habitat for Humanity has received a donation from Coldwell Banker Plourde Real Estate Charitable Housing Funds to help finance a construction of a house. Work on the house is expected to resume in the spring.